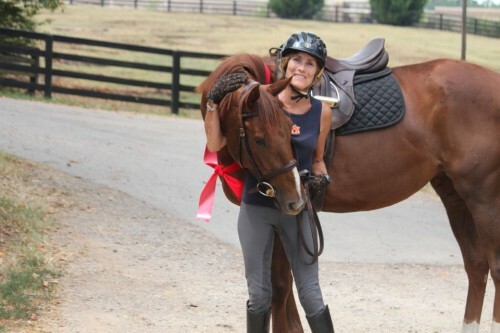 OTTB Success Stories of Thoroughbred Horses For Sale from Bits & Bytes Farm. I’m pleased to report that Bobby (Christian’s Hope) finished 3rd out of 7 in his schooling class today in the schooling show/combined test at Poplar Place. Bato Loco es Mucho Terrific! SOLD! Congratulations Gayle Weatherly of Tuscon, Arizona! Jim rode Chance yesterday for the first time. He fussed and threw his head and jigged for about five minutes until Jim got him settled down. When Jim rode him today, he never did so much as stick his chin out! They have really connected. Wolfie Goes to Sleep Away Camp! Today (Sunday) we did basically the same set of classes – but both of us were tired. We placed 6th again in one OF class, 3rd in the US (again about 12 in there) and …. on a lark I went into the flat equitation class to give him more flat class experience since we need more seasoning there and we won! 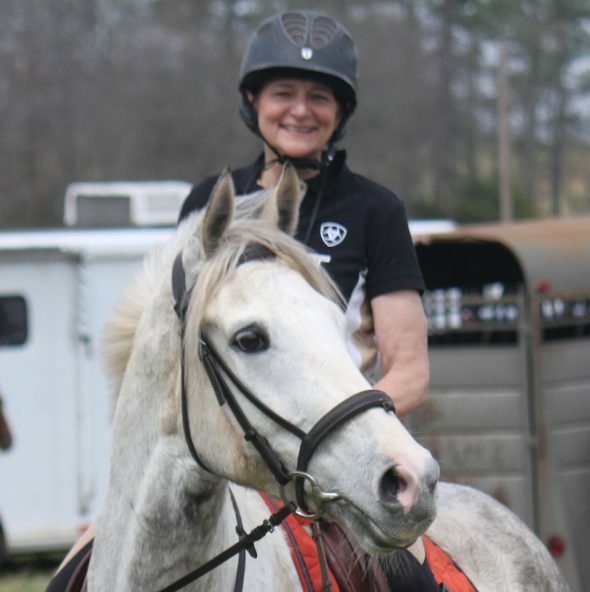 I will not tell you how long it has been since I did an equitation class….! Off-the-track Thoroughbred Stevie Loverboy likes trail riding and swimming in the lake with the girls. I rode Rap It Up for the first time today and he did great!!!!!!! He was actually pretty lazy! Not at all what I expected from him! He was pretty rowdy on Monday, but the more time he spent NOT confined to a stall, the better he was. He is adjusting to his new home very well. Quick update with Irish Morning Mist. We had our best lesson today. He decided jumpers was fun and put his whole heart into it. I was so amazed and he galloped strong to every jump. He told me he was ready today so we have some shows lines up.